Any girl can be glamorous. 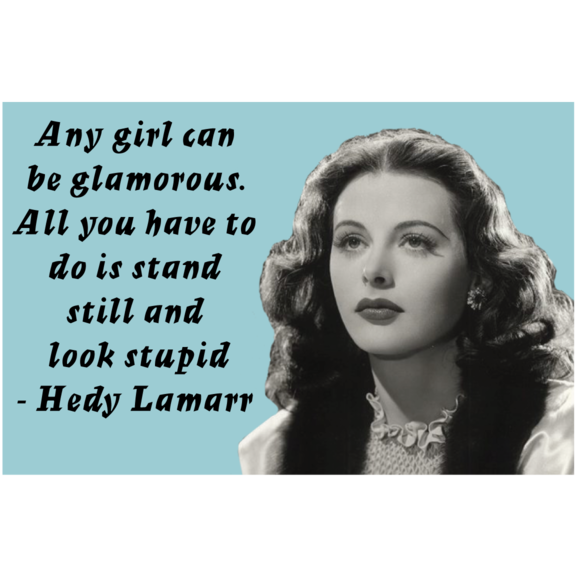 All you have to do is stand still and look stupid - Hedy Lamarr. Hedy Lamarr was a Hollywood actress in the 1930's to the 1950's. She was also an inventor. During World War II, she and composer George Antheil developed a radio guidance system for Allied torpedoes. They were inducted into the National Inventors Hall of Fame in 2014. Magnet is 2" x 3"